NEAR LARGE FAMILY STONE WITH NAME "GATES." 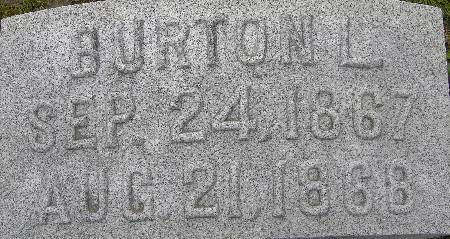 BURTON L. SEP. 24, 1867 - AUG. 21, 1868. Searching for BURTON L. GATES in Black Hawk County Iowa?